RABWEH, Lebanon (CNS) — Addressing the challenges of families in the Middle East, Muslim and Christian religious and political leaders called for unity and dialogue in the face of regional threats. “Human dignity has been hit in the heart” by the crisis in the Middle East and resulting migration of family members, the leaders, along with Cardinal Lorenzo Baldisseri, secretary-general of the Synod of Bishops, said in a signed declaration issued at the conclusion of a conference on the family. The Nov. 7-8 conference, hosted by Melkite Catholic Patriarch Gregoire III Laham in cooperation with the Vatican, served as a follow-up to the extraordinary Synod of Bishops on the family Oct. 5-19 at the Vatican. The lineup of more than 25 speakers at the patriarchate’s International Center for Dialogue of Civilizations included heads of Islamic sects, members of Lebanon’s Parliament and Catholic officials who had participated in the synod. “Today, however, the crisis is such that the existence of a Christian presence is threatened, especially in Syria and Iraq,” Cardinal Baldisseri said, and the situation for Christian families has reached a critical point because of the absence of national and international support. The cardinal said the church calls for recognition of the rights of minorities and for Christians to live in the lands of their ancestors. “The current development necessitates a commitment by the international community, for human dignity and religious freedom are a must,” he said. He stressed that “the forces of evil will not prevail” and called for constant prayer and concrete initiatives to sensitize governments and public opinion on the plight of Christians in the Middle East. Chaldean Catholic Patriarch Louis Sako of Baghdad said the Eastern Christian family has historically been close-knit, loving, sacrificing and committed. But the wave of wars, conflicts and religious extremism has prompted many Christian families in the Middle East to disperse and migrate to the West “in search of stability and freedom,” he said. Patriarch Sako reminded the audience of the “tsunami” that hit Mosul and other cities of the Nineveh Plain in Iraq over the summer when more than 120,000 Christians were forced from their homes by the Islamic State, just for being Christian. He praised the resolve of the exiled “to choose God in faith, a faith that does not accept bargaining,” when they were faced with the threat of being killed if they did not pay a protection tax or convert to Islam. Religious leaders emphasized different points in their speeches. Bishop Antoine Nabil Andari, president of the Maronite Catholic bishops’ Commission on the Family, stressed the importance of preserving the traditions and values of the family and for society to plant hope in the hearts of the youth. Lebanese Prime Minister Tammam Salam underlined that any problem befalling Christians in Lebanon cannot be resolved except through joint efforts by Christians and Muslims. “The Christians are the salt of this land. What would we be left with without them?” he asked. Georgette Mailhac, a Maronite Catholic active in the New Families movement of the Focolare movement in Lebanon, told Catholic News Service she especially enjoyed Cardinal Baldisseri’s speech. “He shared with us the dynamics and true spirit” of last month’s synod on the family, she said, adding that (secular) media reports on the synod did not go into depth on day-to-day issues affecting family life. 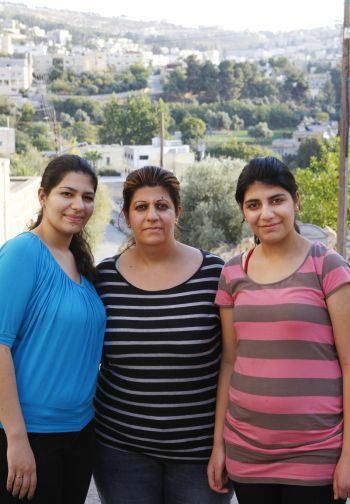 One of the biggest challenges for families in Lebanon, Mailhac said, is a lack of opportunities due to instability and the ensuing economic crisis, prompting young adults to seek employment abroad. This fractures the close family ties typical of Middle Eastern families. With an adult daughter in Brazil and an adult son in Nigeria, Mailhac said she and her husband have experienced firsthand the pangs of a family stretched out across continents. “As Lebanese, we feel the attraction to our roots, but at the same (time) we worry that there’s no future here,” she said. Mailhac said she was encouraged to hear religious and political officials acknowledge the challenges affecting families in the Middle East. “But if (the conference) doesn’t lead to concrete decisions, then it’s only beautiful words,” she said.